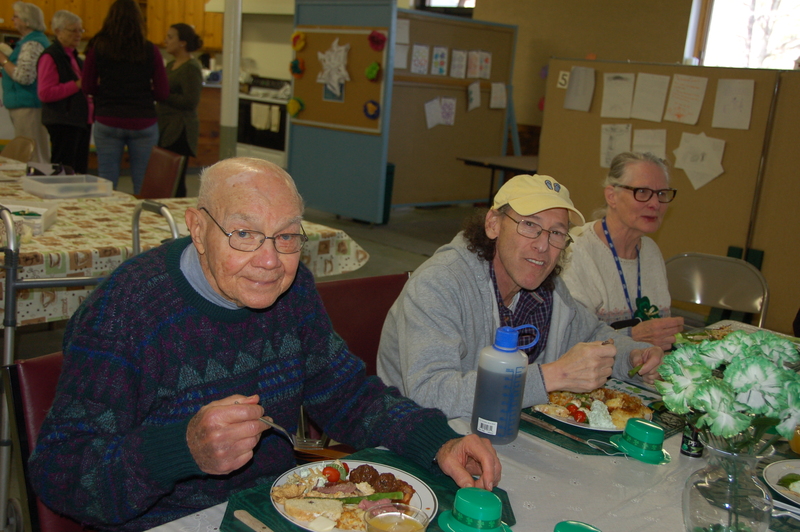 In celebration of St. Patrick’s Day, participants and volunteers gathered together to make shamrock pins, share stories about Ireland and enjoy a pot luck lunch! 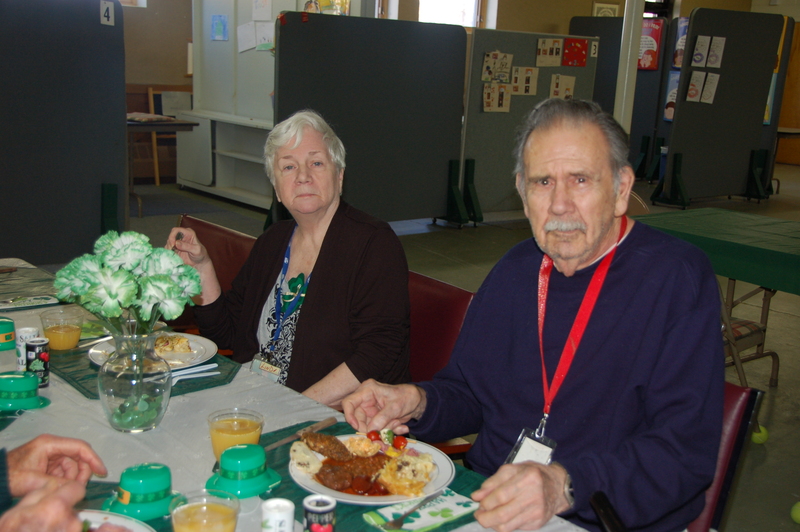 Volunteers made their favorite dish or dessert which everyone enjoyed and Irish music filled the room. Another great day at Day Away! !